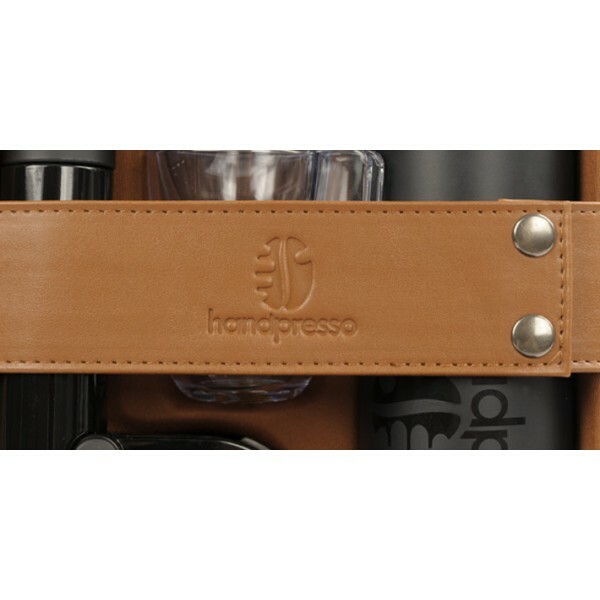 This designed bag contains the small, portable and manual espresso machine called Handpresso Pump enabling you to use either ground coffee or E.S.E. 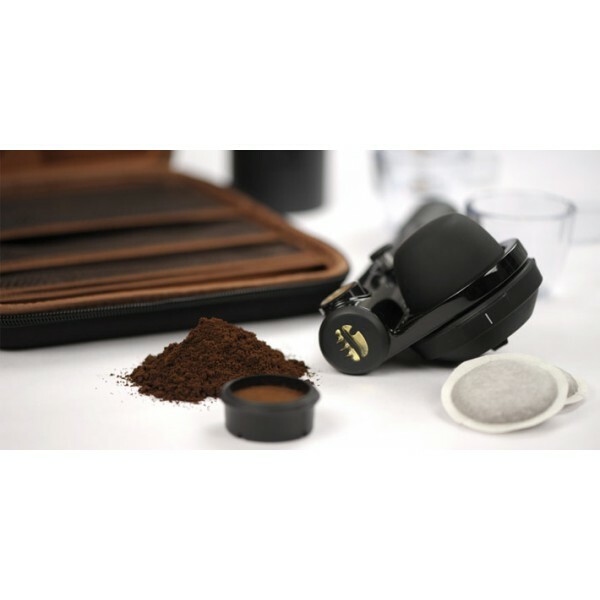 pods. 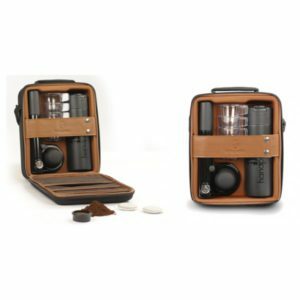 Beside the Handpresso Pump, the set also provides accessories (see below): - 4 unbreakable cups, - the single-hand thermos-insulated flask (to keep hot water even longer), - 1 small napkin.